As business leaders, when we look at our organization we should be able to immediately explain how each department contributes to our successes or failures. We know that HR is in charge of the talent and corporate policies that keep us afloat. Accounting measures, processes and communicates our financial information. Most often the largest pressure falls onto sales. They are in charge of bringing in the profits after all. But then there is marketing, which can act more like a money pit for a company if not utilizied correctly. They are creative. They Tweet their little hearts out and write excellent blogs (such as this one). Heck, maybe they are even in charge of picking the proper flower arrangements for your next big event. If this is how a company’s leadership views marketing, it is their own fault. By viewing marketing as “fluff” with no real contribution to your bottom line, there is no way to prove its worth, despite how beautiful the flower arrangements were at that event. Companies that don’t track marketing costs vs. profits are doing a terrible disservice to themselves. So what is the role of marketing? Is it branding? Awareness? All of that is important for sure. But it should all lead to one quantifiable outcome: return on investment (ROI). As business leaders we can’t just chalk up a department’s responsibility as “building brand awareness.” Next time you think that marketing is just creative “fluff,” know that you have not implemented these 10 steps to hold them accountable for measureable successes or failures. Consider marketing as the voice of your company. They may know the company’s messaging and positioning, but do they know your organizational goals? Marketing may know your brand inside and out, but so few companies communicate their financial goals to this team. It may seem like a given, but you can’t hold someone accountable for reaching goals if you don’t properly convey them. We are still looking at the big picture with this step. Marketing now knows your company’s financial goal, but that still does not define the “how.” As an organization it is just as important to convey your strategies behind reaching these goals and define what your ideal ROI looks like. Now that the picture has been painted, a closer look should be given to any barriers that might prohibit marketing from contributing to your revenue growth target. Do they have the proper platform to achieve these goals? Does marketing even have access to the data they need to get started? All barriers need to be removed in order to move forward. Now that marketing is onboard after a new proposal is hatched, they must measure their approach against the company’s historical data and available industry data to make an educated plan. The decision maker should be the one to say if the program is a go or not. They also need to be the one to determine the strategy. This is an important step and sometimes a difficult one. It is changing the mentality from “cool idea, let’s try it” to a more data-driven method. Once a program is underway, marketing must understand the differences between vanity metrics and growth metrics. Vanity metrics should really be considered those nice-to-have numbers. Such things as email opens or increased web traffic are really nice to have, but the reality is they are only numbers that don’t reflect the bottom line. Real marketing ROI is much more than numbers. 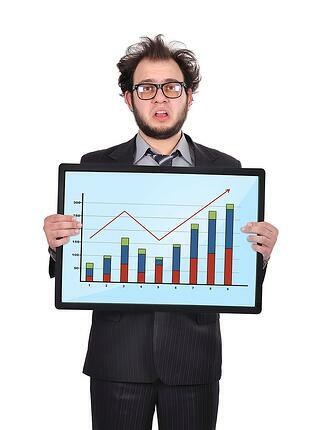 Marketing ROI takes into account each channel and measures it against the qualified leads generated by your efforts. The true metric by which marketing must be held accountable is the conversion rate. How many prospects came into the pipeline? How many were converted into a qualified lead? How many of those were converted into a deal? This is how marketing is tied directly into sales and thus the company’s bottom line. Now that marketing is tracking leads through the pipeline, they know exactly how many prospects became clients. Now it is simple math: money out vs. money in. What was the cost of acquisition? What was the size of the deal? Each marketing program should be evaluated on this basis. As marketing becomes more directly responsible for the pipeline, a major component of the process must be openly reporting those successes and failures back to the team. Which efforts, materials and programs were successes and which were failures? With close-looped reporting in place, and an analysis of the program, marketing can understand their direct impact on ROI. Openly reporting the numbers is the final step to holding marketing accountable for their efforts. It creates a transparency into each program. This is where the organization goes back to the Goals Stage to review the success or failure of a program. While holding marketing accountable for quotas in the same manner that sales might be is likely not the right approach, the idea remains the same. Marketing must produce in a manner that feeds directly into profits. Money-in must be greater than money-out. Clearly marketing plays an integral part in every organization. Their efforts should always generate leads and help move the needle. But it is up to an organization’s leadership to establish the results-driven approach that defines success or eliminates failure. By tracking and reporting conversions and how this relates to ROI, marketing is no longer the “fluff” department that management may have once assumed. Your marketing strategy is only as good as the agency you choose to partner with. Contact us today to learn more about how our marketing services can be tailored and integrated to meet your marketing objectives.